On Saturday, August 10, 2013 at the 10th annual Rainier Beach Back2School Bash, hundreds of residents, most of whom were youth and children gathered at Beer Sheva Park to get inspired about their education, entertained by neighborhood arts groups and to learn about the resources in their neighborhood. The Rainier Beach Community Empowerment Coalition an alliance of residents, organizations, institutions and businesses sponsored this event sevenths tenth year in a row. According to Wanda Saunders an event volunteer and resident “the Back2School Bash is very important, it’s a staple in our neighborhood. It should be bigger so that more families can benefit….we are going to work on that in 2014.” In addition to distributing over 400 back packs, 25 organizations hosted resource tables. A favorite of the young people were the Seattle Police Departments’ Bomb Squad, Marine and Community Policing units. 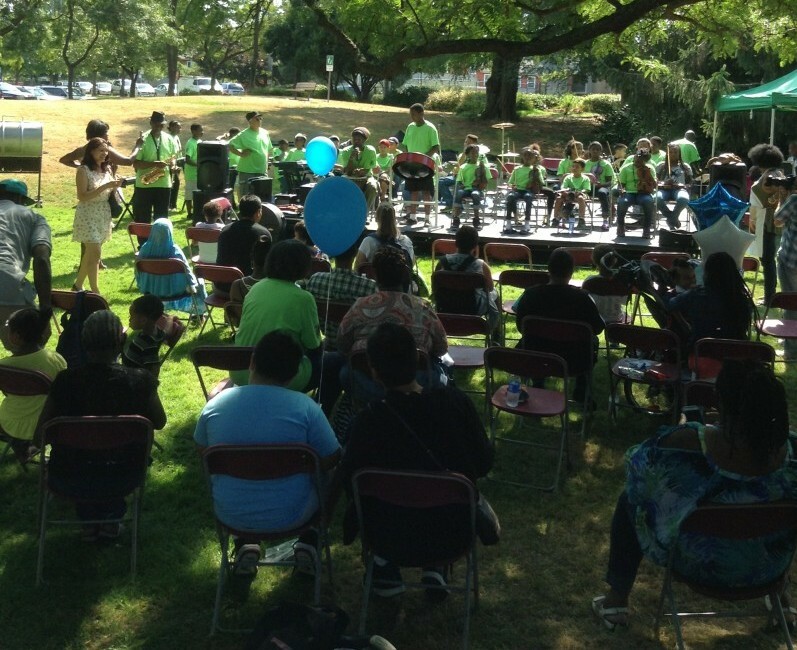 Also the entertainment was a hit…Rainier Beach’s own SE Seattle Community Youth Orchestra, and the Rainier Beach Dance Center. 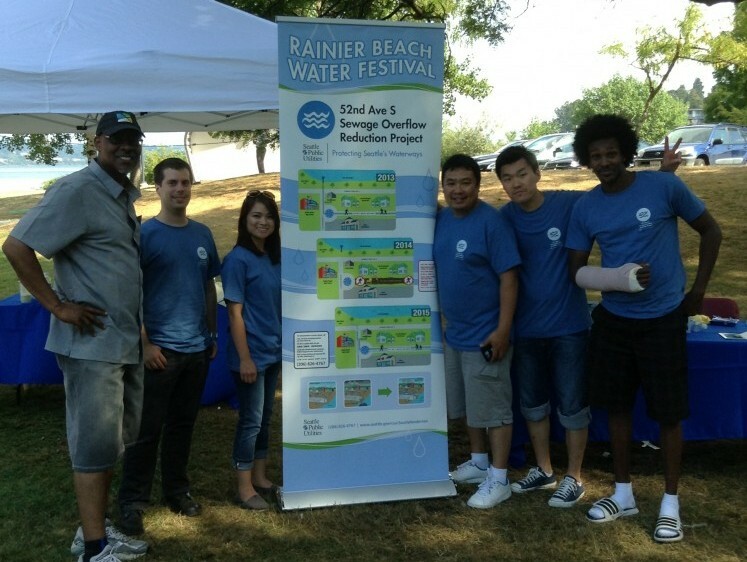 A feature of the event was the Rainier Beach Water Festival which highlighted the fact that Mapes Creek Walkway/52nd Avenue Walk is going to be closed for one year in support of the Mapes Creek Restoration. According to Gregory Davis, spokesperson for the RB Coalition “This event was a demonstration of how wonderful the Rainier Beach neighborhood is. Many people pitched in to make this event possible. People really do care about this neighborhood. We pulled together and saw to it that our families and their children have the resources and information necessary to be ready for school year”. Thanks to this years event sponsors (Emerald City Bible Fellowship, Southeast Senior Center, Rainier Beach Moving Forward, Rainier Beach Community Center and Pool, Atlantic Street Center, Urban League, Carrie House Church) and the over 50 volunteers who made the event a success. 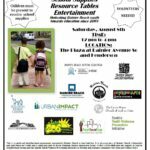 July 12, 2010 Help prepare for the 8th Annual Rainier Beach Back2School Bash! PreviousRainier Beach Transit Justice Youth Corp completes Metro mural, their latest project to better our community transportation wise. NextLife Long Learning Action Team Meeting Tonight Aug 22 6:30 pm! Rainier Beach Urban Farm Breaking Ground Event draws over a hundred people! Congrats to Rena Mateja Walker Burr!